Knowing what the appropriate response is to a loved one’s incapacity is rarely clear or easy, especially if the impairments are limited to a few areas. However, when a person does lose some or all ability to make rational and reasonable decisions or the physical function to perform necessary tasks, guardianship may be necessary. Guardianship is intended to protect an incapacitated person’s (ward) personal well-being and property from financial exploitation when he/she unable to handle such matters alone. Guardianship essentially removes some or all of the rights an adult normally has the power to exercise. 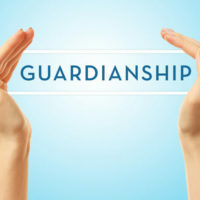 Once guardianship is established, these rights are directly delegated to the person appointed as guardian, or may be recognized with the court’s approval. One right closely associated with adulthood is the right to marry, and the Florida Supreme Court recently decided a case related to a ward’s ability to legally enter into marriage. The court decided that marriages entered into by wards that had their right to contract removed would be invalid on their face, but such marriages could be legitimized by obtaining later court approval. This decision was based on supporting the legislature’s intent to preserve as much of the ward’s rights as possible. A discussion of the rights that are at issue in a guardianship arrangement, and how courts manage the guardian’s role, will follow below. While a court can restore some or all of a ward’s rights if the incapacity is no longer present, in practice, this does not happen very often, so it is important that the right level of guardianship is established from the beginning. Depending on circumstances, advance directives, such as for health care surrogates or a power of attorney, may be a better fit, as they allow a person to tailor the delegation of authority with more precision. Due to the gravity of the rights delegated to a guardian, courts retain oversight over these cases for as long as the guardianship lasts, and require guardians obtain court permission before taking certain actions on the ward’s behalf. First, guardians are required to file annual reports with the court that discusses the condition of the ward, current plans to meet the ward’s needs, and how these needs will be met in the coming year. Additionally, if the guardian has authority over property, he/she must file an annual accounting that outlines how the ward’s property has been managed, including records of all expenses, disbursements and sales, over the previous year. Finally, before a guardian can consent to the ward’s participation in experimental medical treatments, or commit the ward to an institution, the court must hold a special hearing to decide whether the guardian will be given approval to take such action. Establishing a guardianship or serving as a guardian involves considerations about a person’s fundamental rights. Thus, the rules governing guardianship are technical and complex. Working with a knowledgeable guardianship attorney on this matter ensures the law will be followed and the ward adequately protected. Joyce A. Julian, P.A. 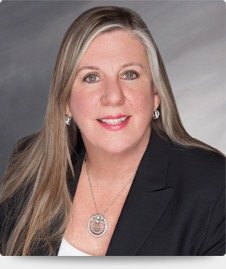 represents families looking for guardians and those serving in a guardianship capacity in the Fort Lauderdale area, and is available to discuss your case. Contact the office for a free consultation.